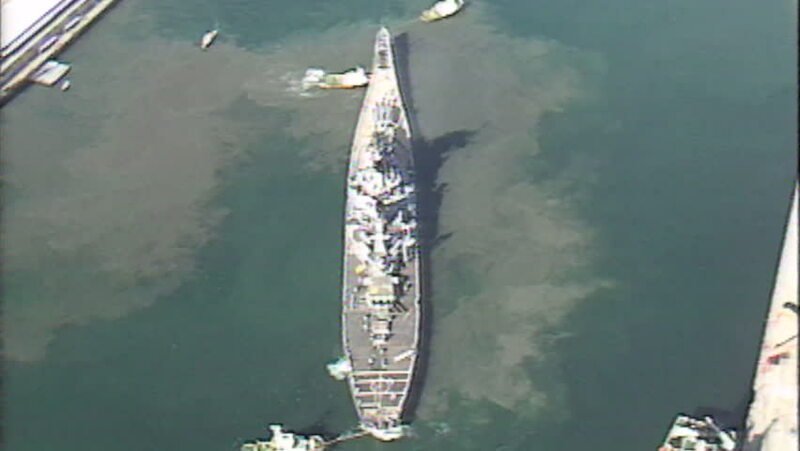 Archive 1991 USS Missouri leaving Fremantle Harbour ariel high. tugs manoeuvring for departure. 4k00:27Top view on ocean with waves and rocks. Sunset. Slow move camera. D-log.